The Xiaomi Redmi Note 4 will soon get the MIUI 9 based Android 7.0 Nougat update. Indian e-commerce giant has inadvertently confirmed that the Redmi Note 4 will be upgraded to the recently introduced Android Nougat build. The confirmation should come as a relief to Redmi Note 4 users after Xiaomi's initial list of smartphones getting Nougat update didn't include the popular Redmi Note 4. Flipkart has put out a banner promoting the buyback guarantee offer on Redmi Note 4, which adds that the smartphone will be soon be updated to Android Nougat. Xiaomi announced its MIUI 9 based on Android 7.0 Nougat at an event in Beijing on July 26. Xiaomi is reportedly planning to update a total of 19 Mi and 17 Redmi devices to its MIUI 9 version in China. However, the list of smartphones getting the update outside China is limited to just 14 devices. The company plans to update Mi 6, Mi Max 2, Mi 5c and Redmi 4X to Android 7.1 Nougat while Mi Max, Mi 5, Mi 5s, Mi 5s Plus, Mi 4c, Mi 4s, Mi Note, Mi Note 2, Mi Mix and Redmi Note 4X (Redmi Note 4 in India) will be upgraded to Android 7.0 Nougat. The Nougat update will bring features like split-screen multitasking, enhanced notifications, customisable quick settings and improved Google keyboard. The update will also support double tap on recent button to switch between two most recent apps. The MIUI 9 update is expected to bring system level improvements and support for image search, smart assistant and smart app launcher support in the coming months. 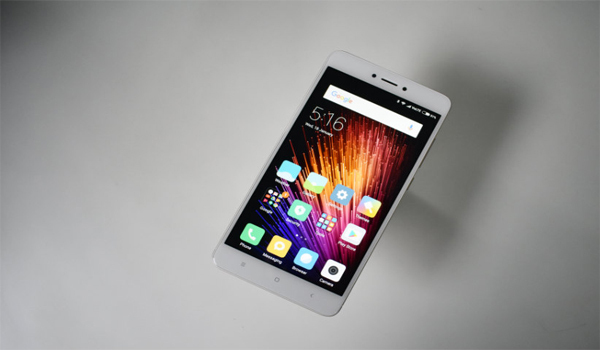 Xiaomi Redmi Note 4 is the most popular smartphone among online buyers and the company has managed to sell over 2 million units since its launch. The redmi note 4 features a 5.5-inch full HD display, Snapdragon 625 processor coupled with Adreno 506 GPU and beefy 4100mAh battery. The smartphone is available in three storage options: 2GB and 3GB RAM variants with 32GB storage and 4GB RAM variant with 64GB storage. The redmi note 4 sports a 13MP phase detect primary camera with f/2.0 aperture and dual LED flash and a 5MP front selfie camera. The smartphone offers a rear mounted fingerprint sensor and is available at a starting price of Rs 9,999.